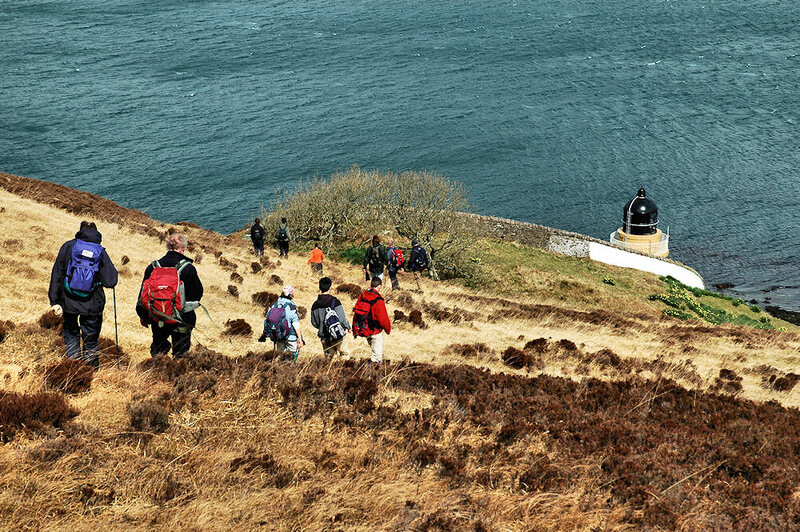 Visiting McArthur’s Head lighthouse on the entrance to the Sound of Islay is one of the highlights during the Islay walking week. It can only be reached by boat or on foot, so not many people have visited it. The approach is usually descending from the hills above, a quite interesting experience when so far you’ve only ever seen it from below, from the ferry.